Direct return flights from Dublin to Catania. Five nights’ accommodation at the Belmond Grand Hotel Timeo on a bed and breakfast basis. 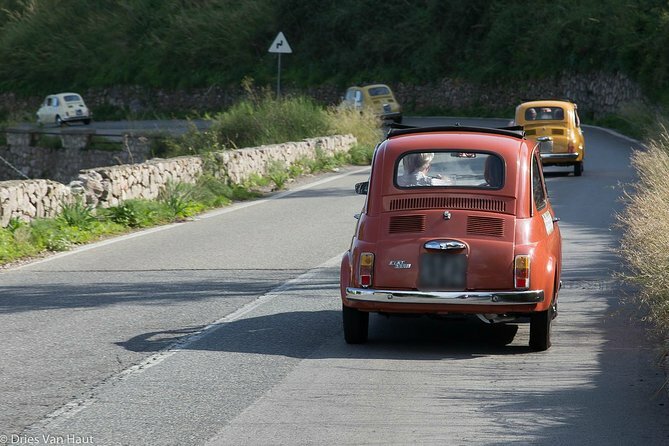 Allow us to take you on a unique experience visiting Godfather film locations travelling by vintage Fiat 500. Perhaps you’d prefer a guided walk in the lush forests of Nebrodi National Park before sampling the best Sicilian wines. 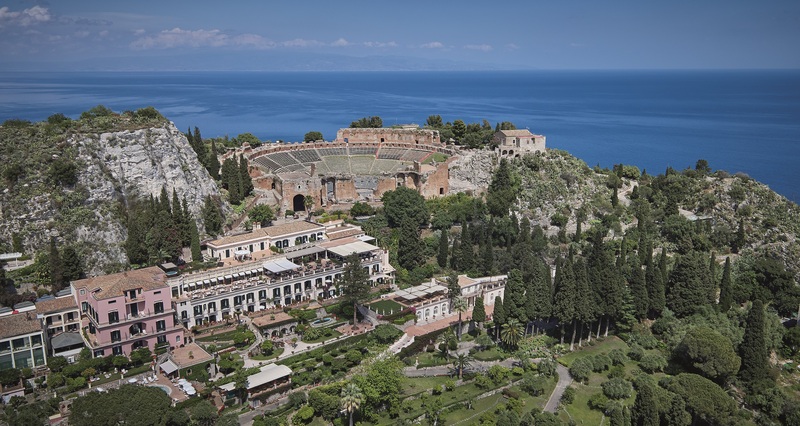 Taormina is a charming hillside town on the east coast of Sicily. 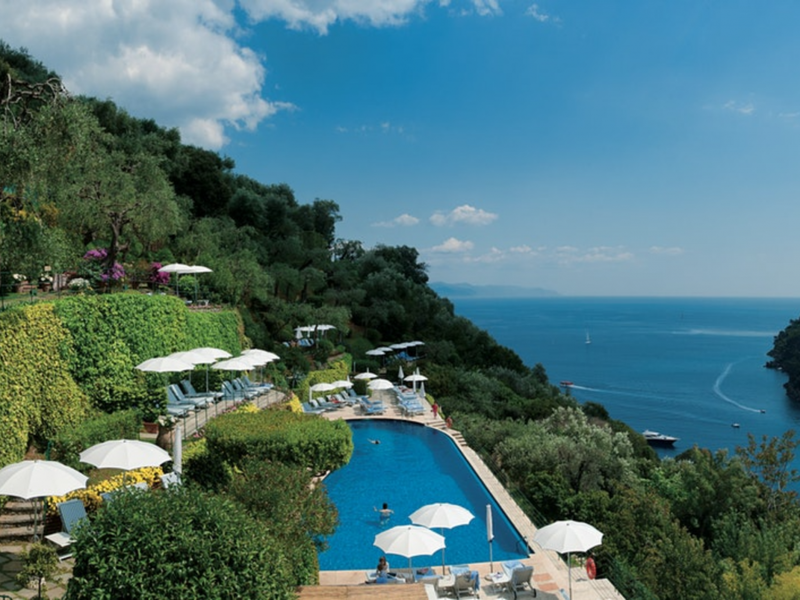 Enjoy a five night stay at the picturesque Belmond Grand Hotel Timeo. 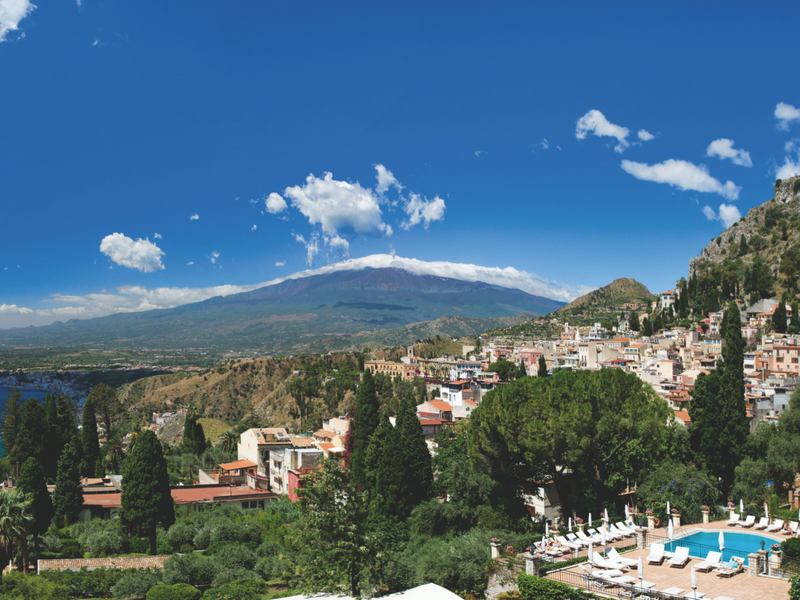 The Belmond Grand Hotel Timeo has views of the Mediterranean Sea and the majestic Mount Etna. 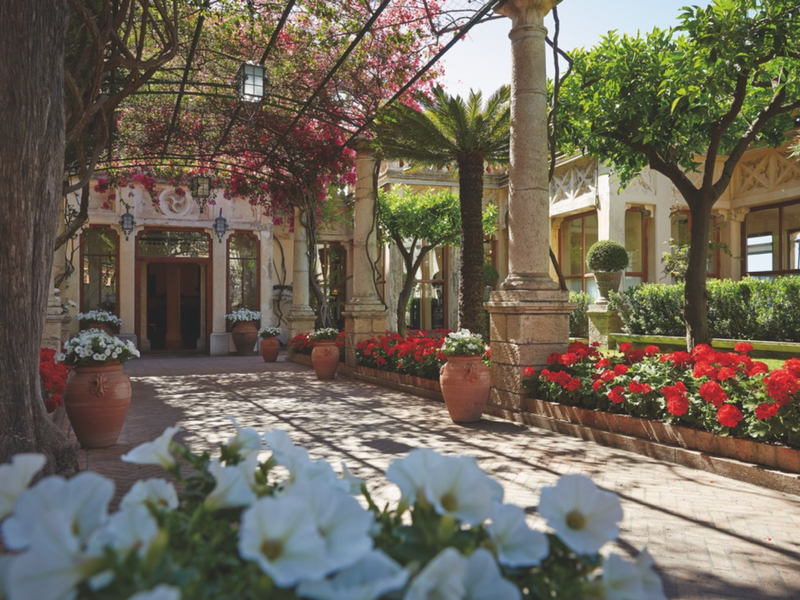 Experience a sense of elegance at the Belmond Grand Hotel Timeo. Spend some time exploring the centuries old theatre constructed by the Romans. Make the most of your afternoon with a swim in the hotel pool. Relax on the balcony while overlooking the sparkling Mediterranean Sea. 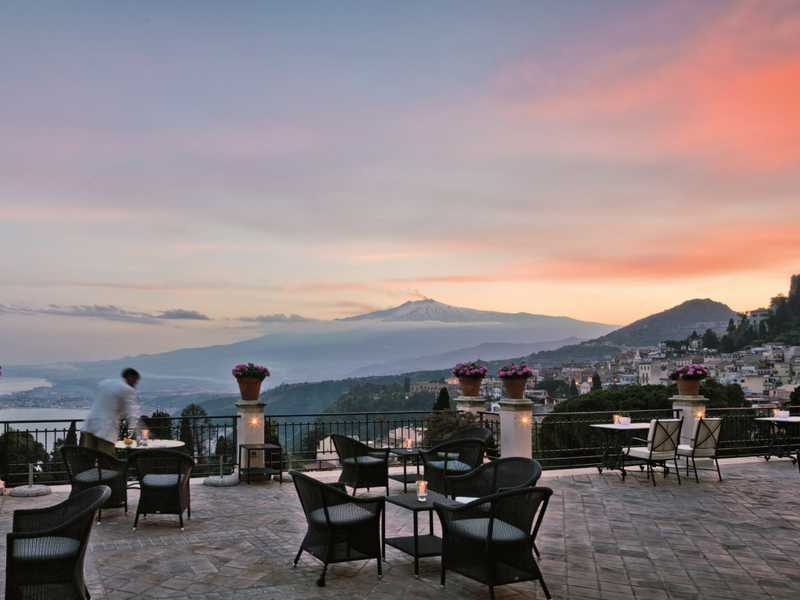 A colourful and vibrant sunset dinner, overlooking Mount Etna. 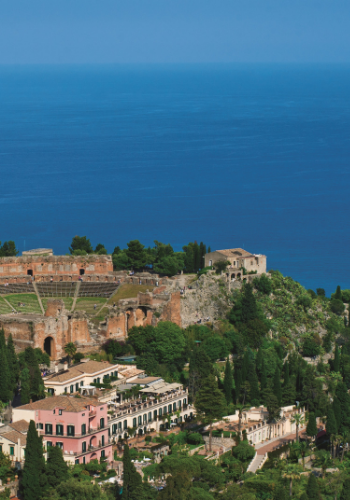 Whether it's fine wine and good food, ancient ruins or majestic beaches you desire, Sicily has it all. This Italian island continues to seduce travellers with its dazzling diversity of landscapes, rich history and cultural treasures. 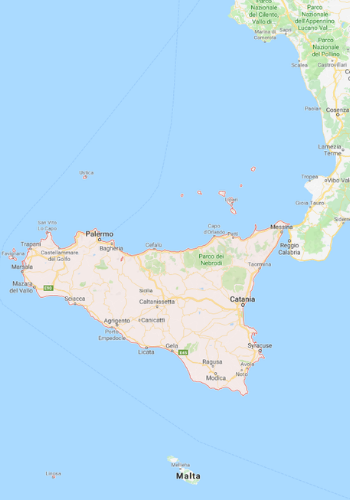 Sicily combines so much in one location, with some of the finest Greek ruins in Europe and beaches to rival those anywhere else in the Mediterranean. 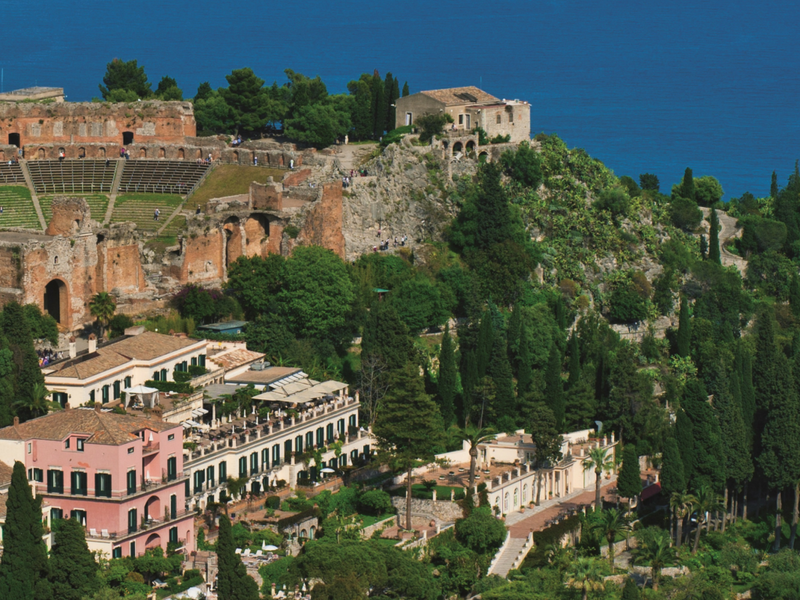 Enjoy a short break or mini-moon with us to Sicily. Here is a flavour of what you can expect. Fly from Dublin to Catania. 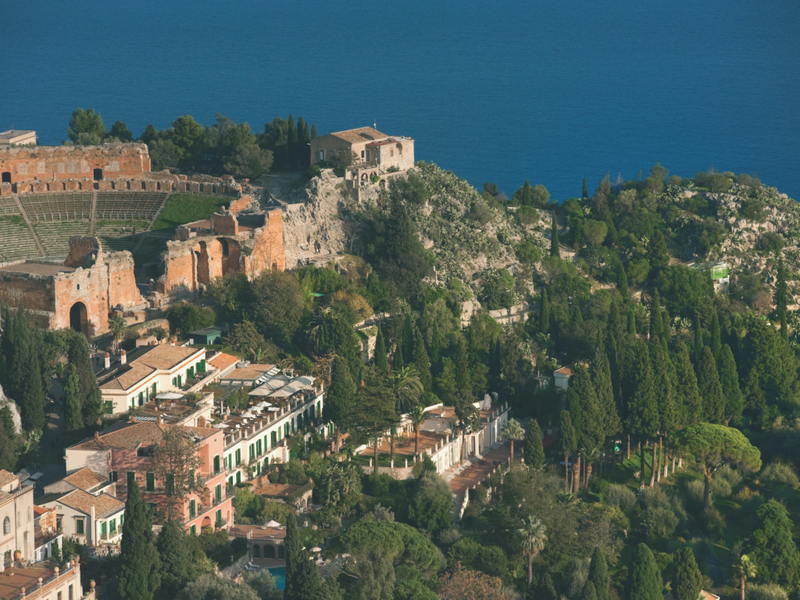 You will be privately transferred to the beautiful The Belmond Grand Hotel Timeo. 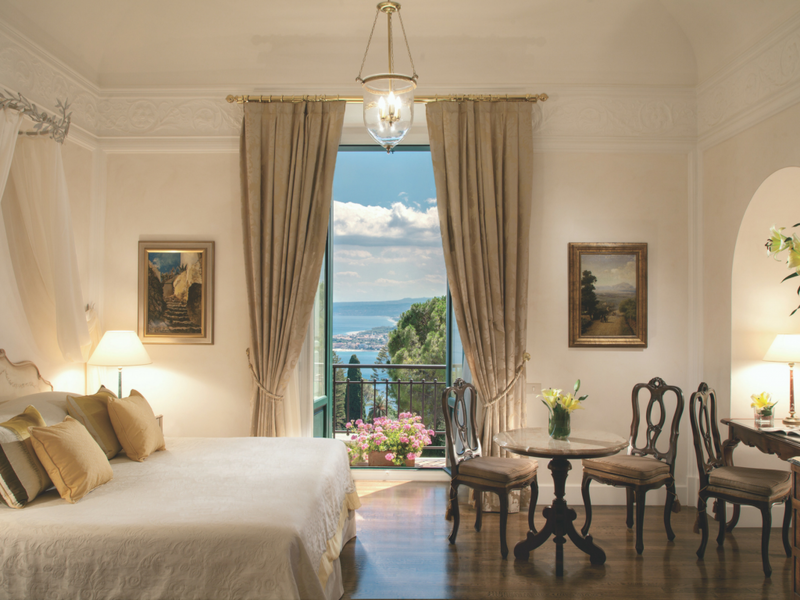 Your journey begins with a five night stay in The Belmond Grand Hotel Timeo. 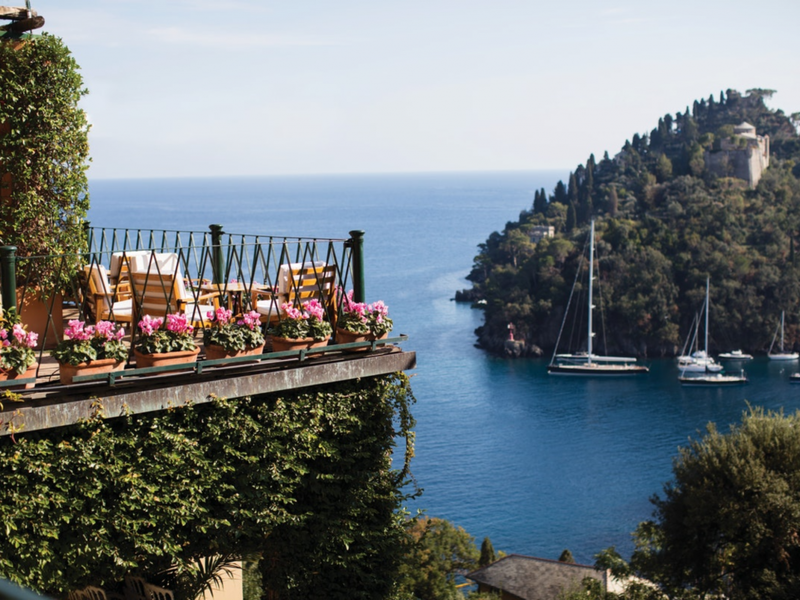 This picturesque retreat is bursting with Italian character. 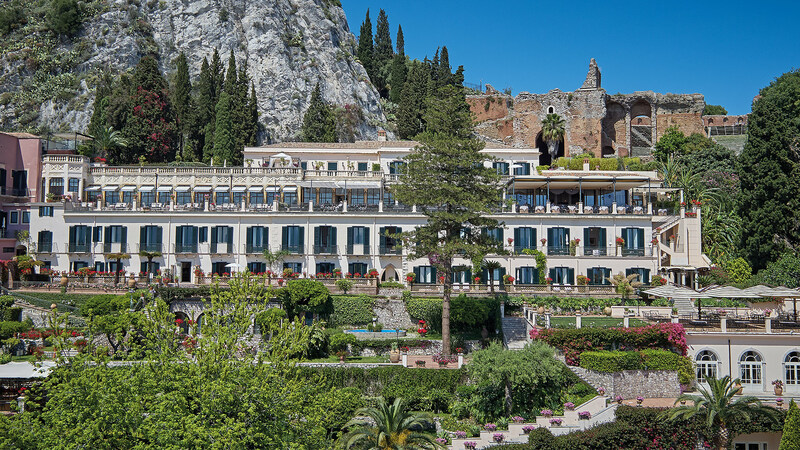 This landmark hotel appeals to couples seeking a stylish escape and it is the perfect base to explore the breath-taking landscape of Taormina. Allow us to arrange ‘The Godfather’ Fiat 500 tour for you. During this guided tour. 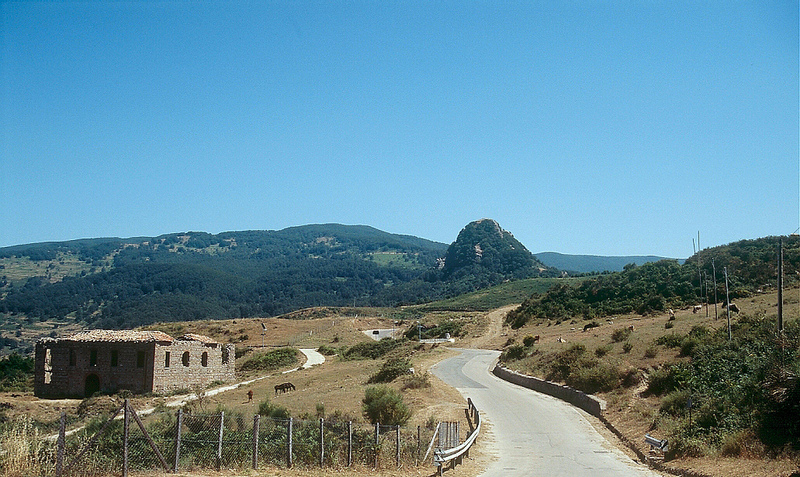 Visit two unspoiled and typical Sicilian villages chosen by the director Francis Ford Coppola as locations in his famous trilogy. Perhaps you might a guided walk in the lush forests of Nebrodi National Park. We can also arrange you to experience the best wines in Sicily with a wine tasting tour. In an OROKO chosen vineyard, learn and sample delicious wine, sit back and relax while enjoying the stunning Sicilian scenery. Fly from Catania to Dublin. This hotel is in one of Sicily’s most charming towns and offers some of the best views in Italy. It is right next to the third-century BC Greek amphitheatre and the Naumachie. The quaint pool and wellness centre are situated within the charming gardens and guests can use the sister hotel’s private beach. There are complimentary boat trips along the coast during the summer months.